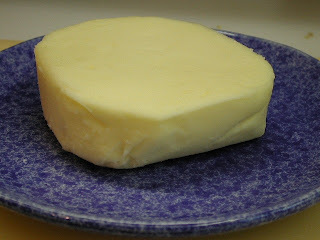 Real butter! Yum! Now that summer is officially here, the Farmer's Market near our home has all sorts of yummy goodies. This week I picked up some real butter. I'm not fond of margarine. Something about the texture and taste I think. I'd much rather use the real stuff or do without. I don't use it much but real butter on fresh homegrown sweet corn. Mmmmm!